MASKerade: The Card Concept #17 - Inspired Thanks! The Card Concept #17 - Inspired Thanks! I chose to focus on one of the pillows. 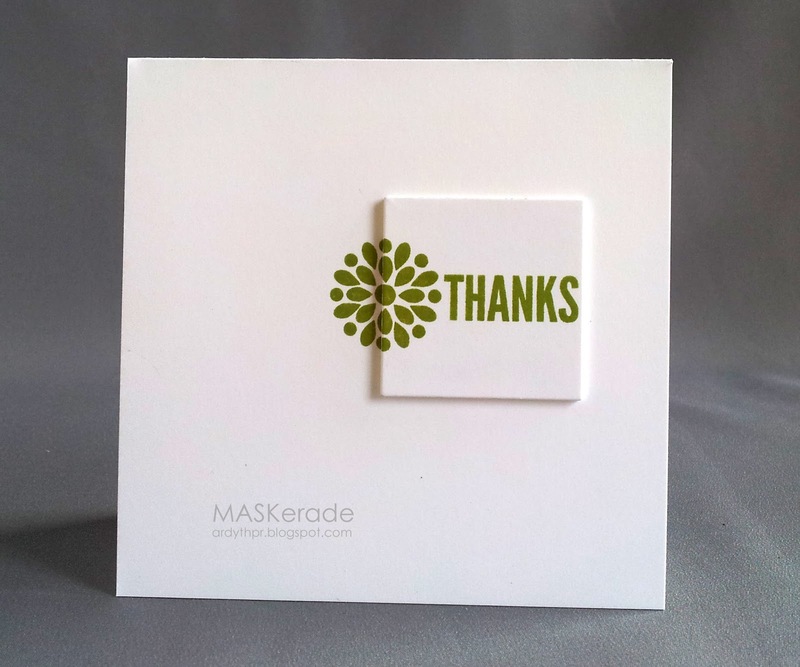 I used a graphic Stampin' Up flower centre and stamped it on the card base and then stamped only half on a die-cut square. I cut several more squares and stacked them up to give some dimension. I finished the card with a Simon Says Stamp sentiment. This challenge will end on Monday, September 1 at 3 pm EDT. Beautiful Ardyth! Love all of your white space and your "pillow" evokes calm. Great design! love the design. Your cards are always amazing! I love the dimension! Your card is always beautiful!! I just adore all that fabulous white space and the pop with the blossom, Ardyth!